Keeping up on the news out there can be overwhelming. 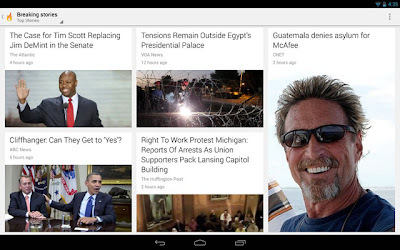 That's where Google Currents comes in—an app that allows you to discover, share and read your favorite news outlets, blogs and online magazines (what we together refer to as “editions”) on your smartphone or tablet—even when you’re offline. Currents is filled with great editions like The Los Angeles Times, CBS Sports, Android Central, The Guardian, Shortlist, and Forbes. Today, we’re revamping Currents to make it even easier to scan through all your favorite categories and specific editions with just the swipe of a finger. And, we’re using some of the technology behind Search to bring you breaking stories on those celebrity scandals, that fiscal cliff negotiation or hottest holiday gift. We’re now grouping editions into categories to help you keep track of your existing subscriptions and discover new ones. Check out editions related to your interests through categories like Entertainment, Sports, Lifestyle and more. 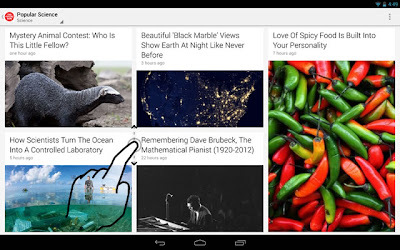 All of your content will be grouped in these categories, accessible from a sidebar. And you can organize your editions in each category with favorites on top. We’ve also made it easy to quickly browse through top articles from all your favorite editions in a category—just swipe horizontally. If you subscribe to more than a dozen News editions like The Atlantic, ABC News and The Telegraph, you can quickly swipe through the entire category and dive into editions with articles of interest. 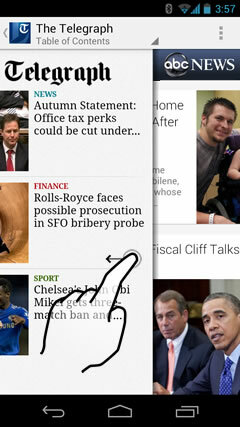 We’ve also made it easier to scan headlines in a particular edition—just swipe vertically. Want to see what’s new in Popular Science? Just swipe through through the headlines. 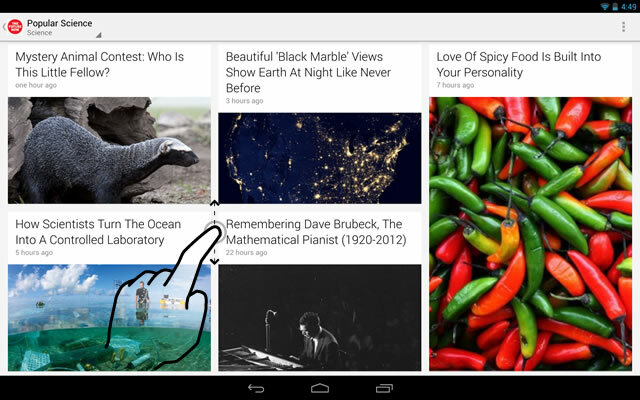 After you view a story we’ll mark it as read, so it’s easier to see new content each time you use Currents. 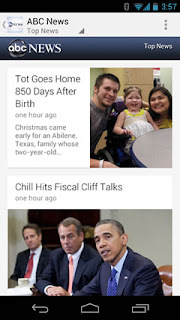 To help you stay up-to-date with the latest news, Google Currents now uses some of the technology behind Search to deliver the hottest breaking stories in categories such as World, Entertainment, Sports, Science and more. You’ll find new articles from hot topics that interest you, while discovering existing Currents editions you can subscribe to. Breaking stories are customized to your country and language—so we’ll only show you relevant news. Currents optimizes editions to look great on whatever type of device you're using. Now articles shine, with larger images and layouts that are intelligently optimized for your device, whether you're on a phone or a tablet. Check out some of our newest featured partners like Cars.com, Voice of America News and New Scientist. Back in April we expanded Google Currents internationally. Since then millions of readers around the world have downloaded Currents, reading over 700 publisher editions and tens of thousands of self-produced editions. The updated app is now available for download on Google Play and coming soon to iOS. We hope that today’s updates make keeping up with the latest news fast, easy and fun no matter where you are or what device you’re using.